This Valencia Area Restaurant and Bar with liquor and a front patio cost $1,500,000 to build-out from scratch. 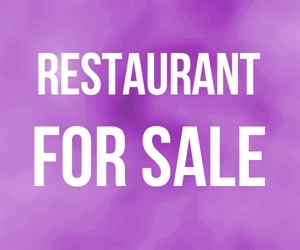 A buyer is now able to purchase it for $75,000 complete with all of its furniture, fixtures and equipment, as well as its $50,000 Type 47 Los Angeles County Liquor License! This is a blowout price for someone with an existing concept that seeks to be in a high exposure location in a prominent shopping center at one of Valencia s busiest intersections. Location and Facilities: This 4,200 square foot facility (plus patio) in a dominant shopping center leases for $17,000 per month including common area maintenance (the rate is currently reduced, however, a buyer may anticipate this rate) on a lease until 2015 with two 5 year options. The facility has an extraordinarily spacious kitchen with all of the equipment a chef would seek, as well as two large walk-ins. The sale includes all of the business s furniture, fixtures and equipment, and its Type 47 Liquor License!